A petition has been handed over to the United Nations High Commissioner for Human Rights, Michelle Bachelet, calling for the United Nations to “put West Papua back on the Decolonisation Committee agenda and ensure our right to self-determination”. After an increase in escalations, with airstrikes and allegations of chemical attacks, thousands of civilians are now suffering under the Indonesian military’s blockade of aid and investigation. The 1.8 million West Papuan signatures represent around 70% of the population. On 25 January , Benny Wenda, chairperson of the United Liberation Movement for West Papua (ULMWP), handed a petition signed by 1.8 million West Papuans to the United Nations High Commissioner for Human Rights, Michelle Bachelet. The petition called for the United Nations to “put West Papua back on the Decolonisation Committee agenda and ensure our right to self‐determination denied to us in 1969 is respected by holding an Internationally Supervised Vote”. “The people of West Papua have been crying out for support for over 50 years. The time for the UN to hear this call is more urgent than ever as the world witnesses another humanitarian crisis happening in the highlands of West Papua. 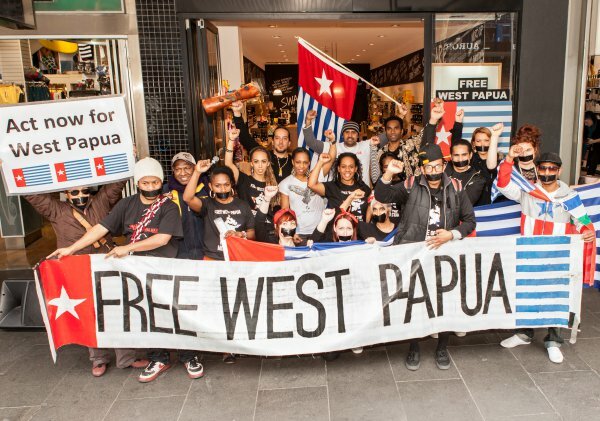 The signatures to the West Papuan People's Petition, by around 70% of the West Papuan population, were collected over several months in 2017 and resulted in the arrest and imprisonment of key Papuan activists. Yanto Awerkion, a local leader of the West Papua National Committee (KNPB), was held in jail for eight months without trial for supporting the petition. More recently, the offices of the KNPB and ULMWP in West Papua were raided and key activists arrested. Five activists were arrested during a raid on 15 January , reportedly because the authorities discovered their involvement in the People’s Petition. Three remain in prison on charges of treason. He added, “And to the people of West Papua, thank you. Today is a proud moment to represent your voices – thank you for never giving up and for courageously coming to the streets and flying the Morning Star flag, despite the brutality you face. Wenda, who lives in political exile Britain, says that it is his life mission to do all he can to ensure West Papuans are given an internationally supervised referendum.